My Ko-fi account link thingies! Welcome to my brand new Inkbunny page! I belong to a couple other art sites, but I am hoping to make some new friends, and the other sites are kind of difficult to meet people on. 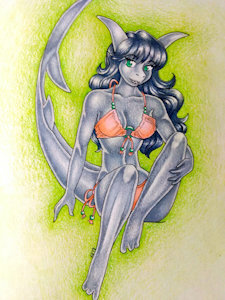 I work exclusively traditionally, with paper and ink, and colored pencils. I do have a couple of OC's but you don't see them too often, I really like doing pin ups. Hi there! Thanks for the watch here-welcome to Inkbunny!